Product prices and availability are accurate as of 2019-04-24 05:14:14 EDT and are subject to change. Any price and availability information displayed on http://www.amazon.com/ at the time of purchase will apply to the purchase of this product. Lil' Eco Brand stemmed from a Mother's passion for professional baby products, being budget and earth conscience. 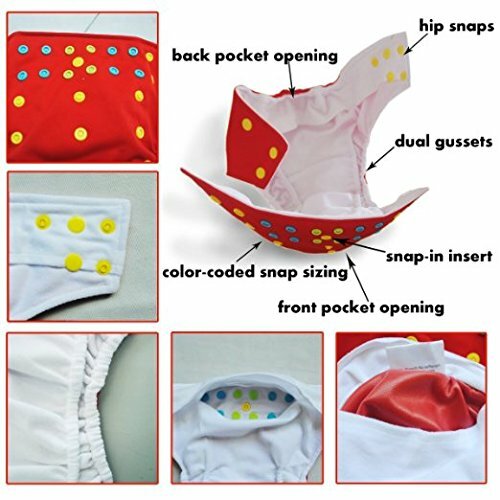 Try them for yourself, risk free- they come with a 100% satisfaction guarantee.One size fits most: The bottom three rows of snaps (the rise) are for adjusting the size to fit a small (6-15 lb), medium (12-25 lb), or large (20-35 lb) toddler. Material: Outer Shell- is a minky bamboo. Inner- Suede cloth that wicks moisture away from baby's bottom is an excellent choice for putting next to baby's skin, and unlike fleece there is no pilling. Insert - 3 layer ultra-absorbent microfiber. Recommended wash temperature for PUL is less than 86 Fahrenheit to avoid delaminating. 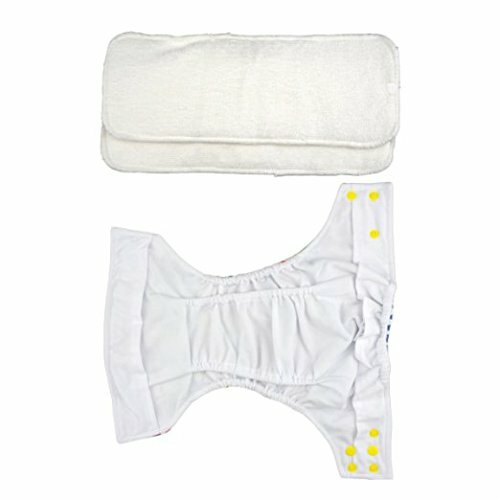 Please wash diaper covers and inserts separate from each other, and please do not wash diapers with your other laundry. Baby Friendly- Baby SOFT suede wicks away moisture. 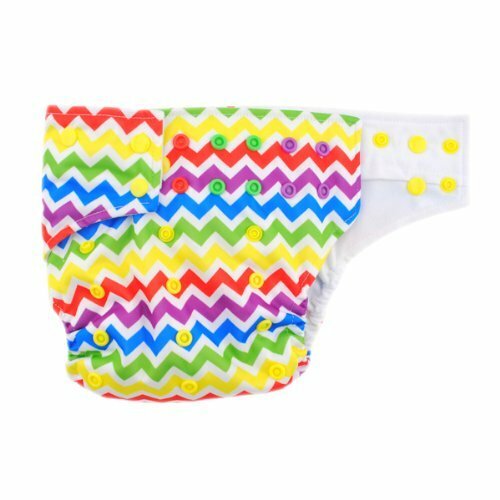 Breathable microfiber to keep baby cool and dry Budget Friendly- High quality cloth diapers for affordable prices Eco Friendly- Save the planet one diaper at a time - wash and reuse Adjustable- Double rows of snaps for custom fit, Hip snaps to prevent drooping, Leg gussets prevent leaks Stylish- Trendy patterns that are cute and comfy on your baby's bottom.